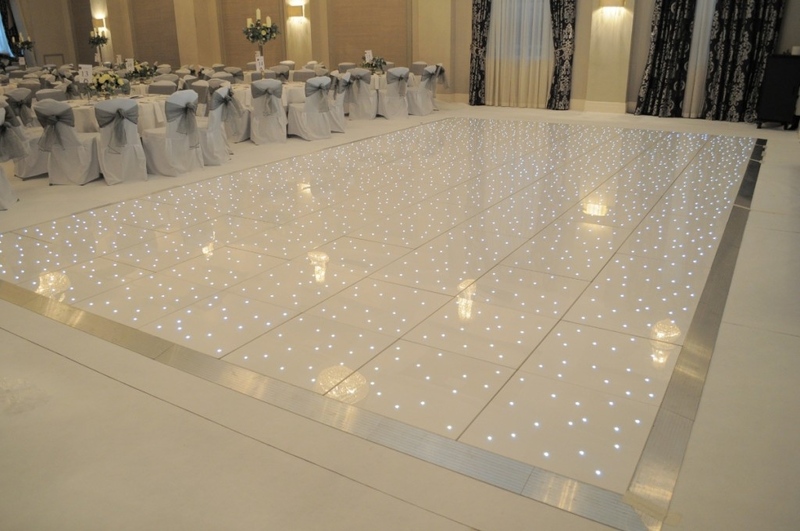 Crest Events is now offering LED dance floor hire for weddings, parties and any celebration. Our state of the art white dance floor has been a spectacular hit with our customers and will make a talking point for any celebration. Our availability for 2019/20 is filling up fast call 0141 266 0044 or Email to reserve your date. White LED Dance Floor Hire Glasgow & Central Belt Silver Trim. Walk down the aisle on a perfect white LED aisle. 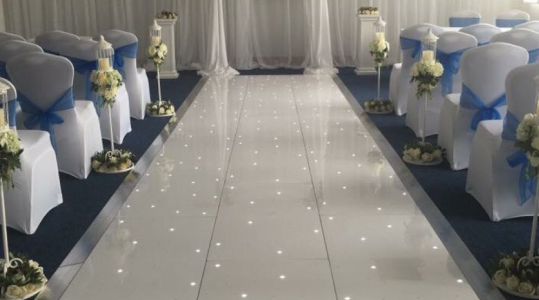 Our Starlit Twinkle Aisle is 4ft wide and up to 30ft long. Call 0141 266 0044 to check availability for your big day. We are here to answer your questions about our dance floors. Call us or Email us to find out if your date is available. Delivery charge may apply for venues outwith Glasgow. Copyright Crest Events Ltd Reg: SC622765 | Event Management, Wedding Planning & Dance Floor Hire & Photo Booth Hire in Glasgow & Scotland's central belt.